Steele: "Thought I was done, America? I'm just getting started." 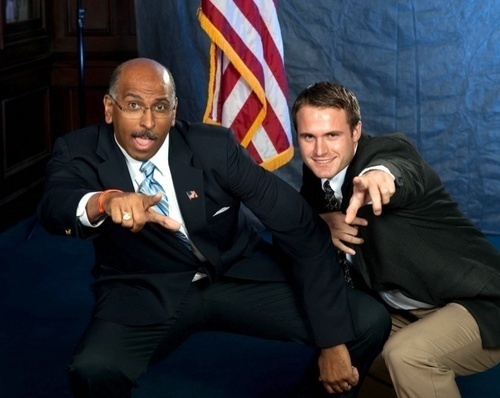 Republican National Committee Chairman Michael Steele may have found a way to outdo all of the questionable comments and actions that have flooded the news during his tenure: he’s recorded a rap album. 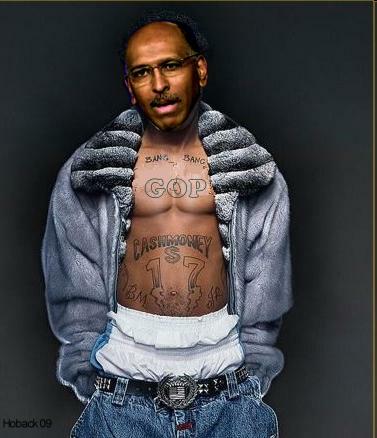 “HNIC of da RNC” is the name of the project that Michael Steele called “a no-brainer” when it comes to engaging young Americans about the benefits of conservative values. 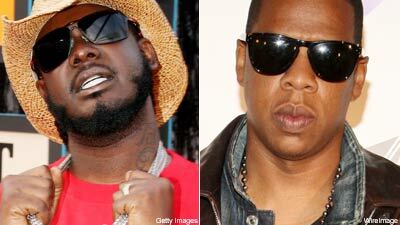 Apparently, Steele’s foray into music has renewed a rivalry between some prominent figures in rap music. ‘Mikey Steez’ enlisted the help of auto-tune king T-Pain in his song “D.T.B.G. (Death to Big Government),” a not-so-subtle proclamation of Republican opposition to government regulation of Corporate America. Twitter? Don't even know 'er! "That's right, Chad. If you want to be cool when you're pointing a pretend gun, make sure you hold it sideways, like this."